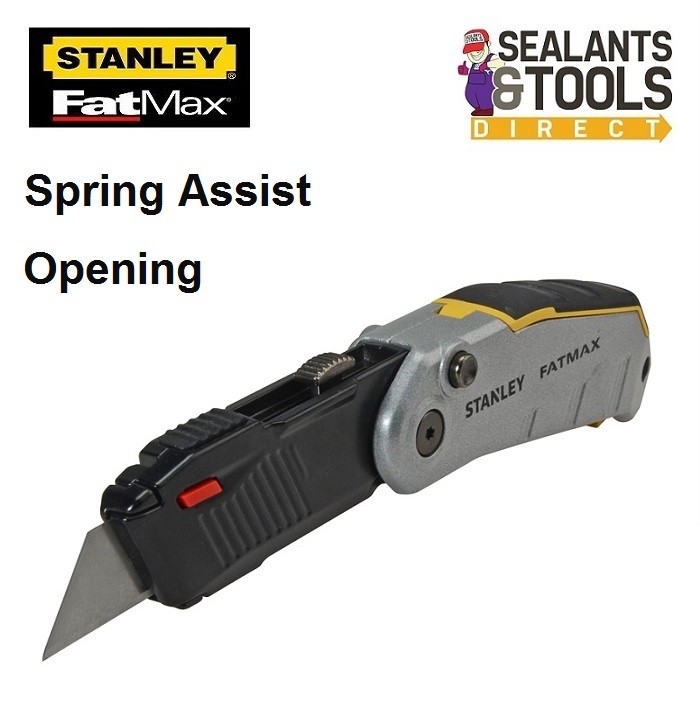 The Stanley Fat Max Spring Assisted Stanley Knife has a 3 position blade mechanism with a redesigned slider that makes the knife smaller than before. Fitted with a bi-material handle grip and rubber thumb pad for added control and comfort. The instant blade change mechanism provides added convenience with an on board blade storage, 3 blade capacity (supplied). Spring assisted opening via a button for speed and convenience.